In the US, the Kindle Oasis sells for $280 (#226), so the Australian version is practically cheaper. Starting at $449, the Kindle Oasis is Amazon’s most expensive e-reader since the Kindle DX from 2010. Amazon says its mission with Kindle is to “make the device disappear so you can lose yourself in an author’s story,” and in this case, that means making the device more book-like. 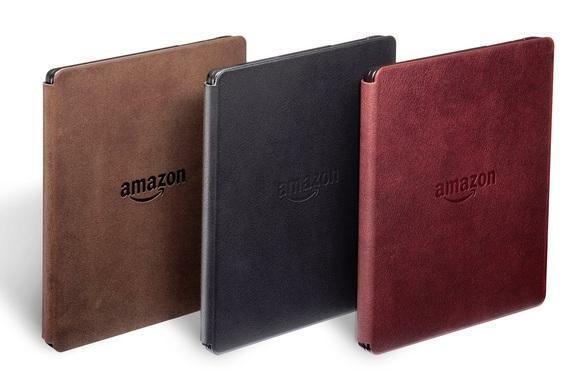 A choice of Kindle Oasis battery cover is included in the $449 price. Amazon hasn’t given a precise release date for the Kindle Oasis, but is taking pre-orders now for shipping in the “coming weeks.” As with other Kindles, Amazon charges an extra US$20 to remove “Special Offers” ads from the device’s lock screen. A 3G model (for downloading books without Wi-Fi) is also available for $70 more. Meanwhile, Amazon still sells a basic Kindle for $109, the higher-resolution Kindle Paperwhite for $179, and the $299 Voyage with adaptive lighting.